The Resident Evil 2 Remake is almost upon us, and new details on it have emerged during a recent launch event held in Dubai. During the event, director Kazunori Kadoi and producer Yoshiaki Hirabayashi have been asked about the total length of the story, which will be around 10 hours long for each character. As there are plenty of shared sequences between the two characters, the second playthrough is going to be shorter, but this is a very good length for a survival-horror game and in line with the total length of the original game. Additionally, the two members of the team have been asked about a possible Resident Evil 3: Nemesis remake. They currently don’t have anything to share on the matter, but it’s likely that it will eventually be developed, considering how Resident Evil 2 Remake is setting out to be a smashing success. 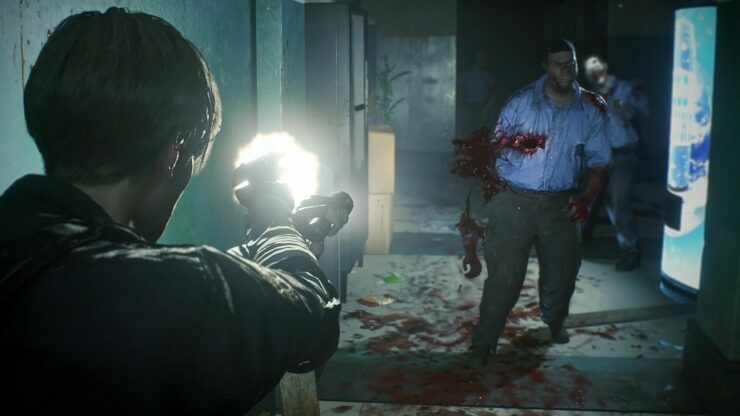 If you cannot wait to get your hands on Resident Evil 2 Remake, you can download the 1-Shot demo right now on PC, PlayStation 4 and Xbox One. The demo can only be played once with a 30-minute time limit, although several workarounds have been found in the previous days. Resident Evil 2 Remake launches January 25th on PC, PlayStation 4 and Xbox One in all regions.